Happy back-to-school season, teacher friends! Somehow 2018 is positively flying by, and it’s already time to prepare to head back into the classroom (if you’re not already back in it)! Recently, Teachers Pay Teachers hosted their annual back-to-school site-wide sale, and I ran a giveaway during that time to gift three teachers with TpT gift cards. 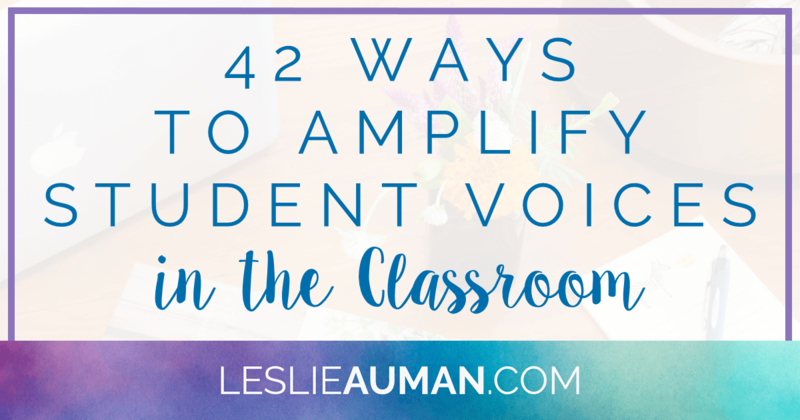 My prompt on the giveaway post asked teachers to share how they plan to amplify student voices in the classroom this year, and I received some really awesome responses that I wanted to share with you in this blog post. Keep reading to get ideas for how to make sure your students get time to talk — and to be heard — in your class this school year. I tried to implement strategies from Jim Fay and David Funk’s Teaching with Love and Logic*, which encourages giving kids choices as often as possible so that they feel more in control of what’s happening to and around them. For example, you might give them a choice to find spots to sit anywhere around the classroom or to stay seated at their desks for whole-class read aloud time, or you might give them the choice over which assignment or activity you display on the hallway bulletin board for others to see as they walk by. I was a fan of projects that gave students a choice in what they did to complete the project, like my final project for The Diary of Anne Frank. In this project, students are presented with three different options for demonstrating their understanding of Anne, her diary, and her experiences during World War II, and they get to choose which one they’d like to complete. When it came to reading in the classroom, I gave them choices about how we did the class read aloud time for our novels. Popcorn reading was always a favorite, but I sometimes gave them choices for other ways to get the read aloud time done (but if behavior or time was an issue, then I would read to the class). When it felt appropriate because of maturity and behavior, I let students choose who to partner or group with for projects and activities. Again, when it felt appropriate because of behavior, I let students choose where they wanted to sit for independent reading or novel read aloud time. Although it was sometimes difficult to navigate, depending on the situation, I often tried to give students a chance to provide feedback on how things were going or how things were done. For example, I had a class in my last year of teaching, which I mentioned in this blog post, that struggled with behavior issues in my class literally the entire school year, even when my other three classes had mostly gotten it together and had improved leaps and bounds in maturity and behavior. On more than one occasion, I stopped teaching to ask this class questions along the lines of, “I know you’ve talked to your advisory teacher about how behavior plays out in this class and came up with ideas for how to improve it, which she passed on to me. I’ve tried doing x, y, and z, so why do you think behavior is still a struggle? What is the real issue for why behavior is an issue for you all in reading class?” This is a direct way to get students’ feedback, and in more dire situations like that one, they do tend to be honest. Take time to just talk with your students! We often never really know what kind of home life and adult influence our students have outside of school, and taking the time to chat with them to better get to know who they are as individuals not only gives them the chance to talk and to learn how to communicate themselves more clearly (and probably to explore themselves, when we probe them with questions! ), but it also shows them that we care and that we’re invested in them. I could probably come up with more if I keep thinking about it, but instead, I’m going to transition to the comments shared by the teachers who commented on my giveaway post. All told, there are 54 suggestions in this post, but some of them are repeated by multiple people, which is why the post has 42 ways in the title. 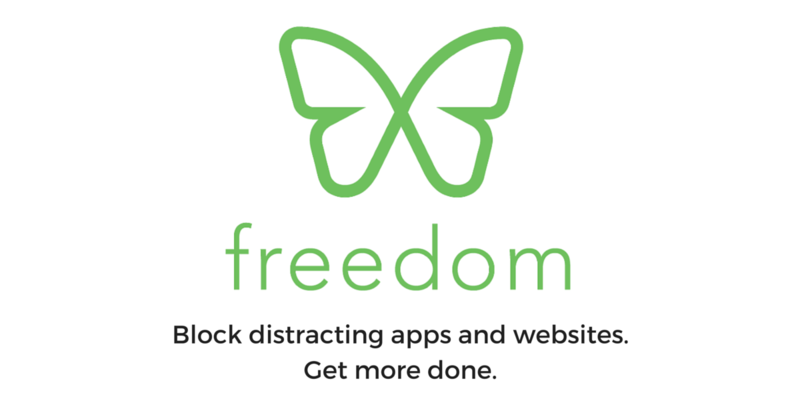 Read on to get even more ideas! “Student voices are SO important! I love to celebrate each student for their responses in my class. We all give a quick cheer and move on. This tends to star the process of students speaking up because EVERY try is a good one. Next, I love to read books about different personalities and make sure to point out what I love about those personalities. Characters resonate with students. Lastly, I connect with students. It’s important to talk to them on a personal level so they gain your trust. When trust is there, they are more likely to speak up and voice their opinions.” — Ashley W.
“I plan on amplifying students’ voices by really making my classroom a community, where they know they can speak up and that they are being heard — making rules together, discussing and modeling how to do tasks, etc. I want my classroom to feel like a family!” — Sara D.
“By teaching them about diversity and acceptance” — Annie G.
“We always make rules together, but I saw somewhere about changing them into values. And a lot more sticky notes for them to share their thoughts and feelings.” — Brianna P.
“I let my students free write about their weekend, poetry, their opinions, etc. And they have the opportunity to share aloud to the class using my golden microphone! We read the book Malala’s Magic Pencil* and learned about how our voices can help make a change!” — Jenn C.
“I plan to amplify my students’ voices by making rules together and by showing them in this classroom, everyone is accepted.” — JoAnna P.
“Reading a variety of texts/finding characters that each student can relate to! We also start each day with morning meeting to encourage listening and speaking to our peers.” — Megan L.
“I plan to have more meaningful class meetings this year, where my class can open up about their thoughts, plans, and feelings with me and their classmates!” — Kara P.
“I’m an SLP, so it’s literally my job to help give kids a voice. But observe, wait, and listen is key.” — Danna B. “Weekly council meetings led by students” — Liezel P.
“Allowing more time to share during morning meeting” — Whitney T.
“Creating a safe space for my kiddos to share their thoughts and feelings by doing more trust-building exercises” — Emma W.
“We do PBL, and that is a big step towards letting the students lead rather than the teacher lead. So, continue to let students lead lessons and their learning. Also, partnering up and sharing those thoughts that way.” — Sarah S.
“I want to allow students to be co-constructors in their learning as much as possible, and it starts by listening.” — Erica B. “Project-based learning” — Melissa C.
“I got a QBall!! I’m so excited for engagement, speaking skills, and more with it!” — Katie B. “We have our character education time where we build relationships and grow our social relationships.” — Lori B. “[I want to] amplify their voices by giving them opportunities to share things about their own culture and giving them a dedicated time to do so.” — Lauren L.
“I can’t wait to continue my ‘share ball’ this year! Every Monday, they get a chance to tell anything they want, and on Friday, they ask questions of each other. 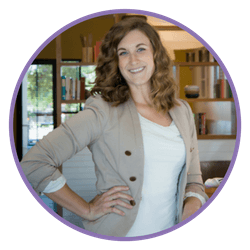 I love that it gives them the opportunity to speak in a fun, safe space!” — Emily T.
“I will be allowing more time to talk and less time for teacher-centered time. Math block and reading block are tough, but discovery activities are my goal, leaving me to facilitate and students to investigate! !” — Julie S.
“Restorative circles” — Teryl F.
I’m really loving all of the creative, loving ideas that other teachers shared! Many of these ideas in and of themselves convey a true desire to let students talk and to actually listen to them, and that is one of the most important things we can do as teachers. 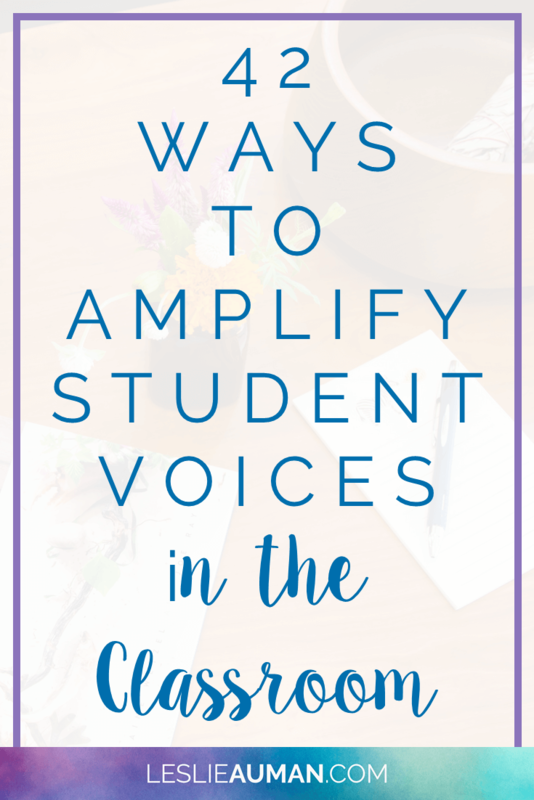 I hope this list has given you lots of food for thought about ways to amplify student voices in your classroom, no matter what time of the school year it is, because it’s never too late to start fresh with a new approach! As a last thought, I chose to include this post in my Honest Educator Series because I hope, if we’re all being honest, that we can admit that sometimes (maybe even frequently), students’ voices are ignored or quieted in favor of the teacher (or whatever kind of educator you may be) taking the lead. There are a large number of obstacles to allowing students to be the guiding force in the classroom: time, learning disabilities, maturity, behavior, mandated curriculum, standards — and on, and on, and on. However, everything we do as educators is literally for the kids. We’re shaping their knowledge, their confidence, their maturity, and their lives, and this is why their voices need to be the ones that we listen to. In honor of honesty, I hope that you can admit when you’re not making room for student-centered learning and will do something to change that. * Leslie Auman is a participant in the Amazon Services LLC Associates Program, an affiliate advertising program designed to provide a means for sites to earn advertising fees by advertising and linking to Amazon properties including, but not limited to, amazon.com, endless.com, myhabit.com, smallparts.com, or amazonwireless.com. This post was most recently updated in March 2019.